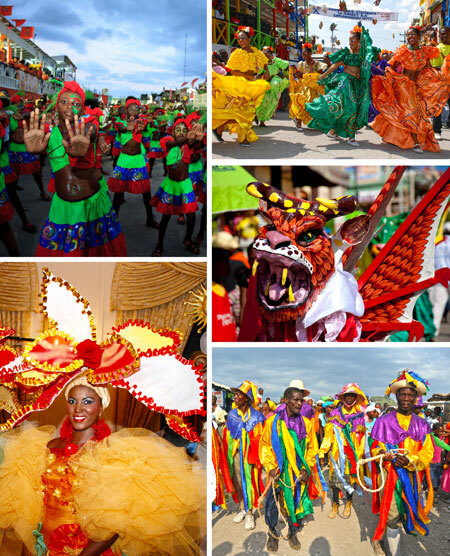 Port-au-Prince's annual carnival is one of the largest Mardi Gras carnivals in the Caribbean and North America. 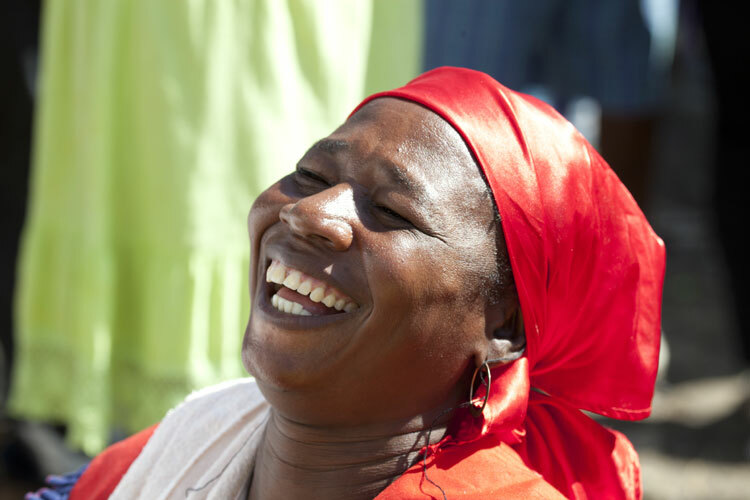 The celebrations are funded by the government, businesses and wealthy Haitian families. Haiti's version of carnival season always starts in January, known as Pre-Kanaval, and the main carnival begins in February each year. Carnival celebrations end on Mardi Gras, which is French for Fat Tuesday, also known as Shrove Tuesday. Mardi Gras is the Tuesday before the Roman Catholic holiday known as Ash Wednesday. Ash Wednesday marks the beginning of the Lenten season, a somber period of fasting and penance that precedes Easter for Catholics. The first Mardi Gras celebrations in Europe were a carnivalesque opportunity for people to indulge themselves, celebrate, and even subvert authority in a permissible way, as part of the party. Mardi Gras enabled people to enjoy the pleasures of life before the beginning of the Catholic Lent season, a period of 40 days and nights of fasting and penance leading up to Easter. The Catholic festival was imported to Haiti and elsewhere in the Americas during European settlement. 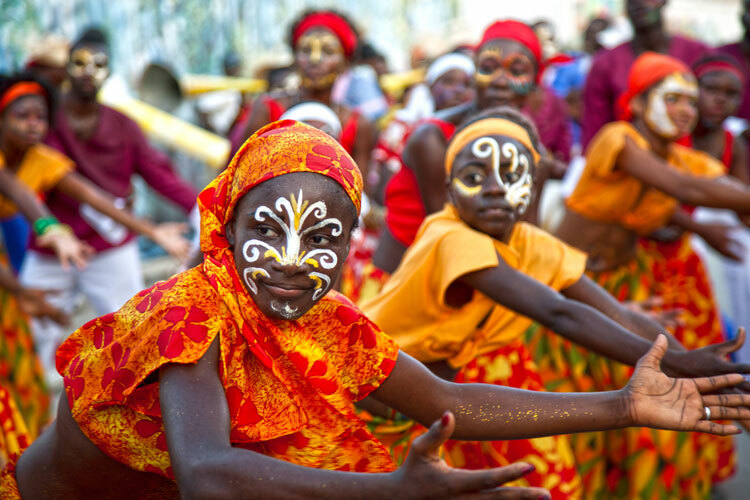 In Haiti, carnival is also heavily influenced by local customs, such as Vodou religious rituals, and Haitian music. The carnival is celebrated with music, bands and parades. Parades have floats, sometimes with children participating in the celebrations. The floats typically have sound systems set up on trucks to play music to the crowds. Food stands selling barbecued treats and rum are a popular part of celebrations. There are also comedy plays put on by the carnival participants, often satirizing political topics. Revelers wear masks and costumes, as they do at other carnival celebrations in the Caribbean, North America, and Central and South America. 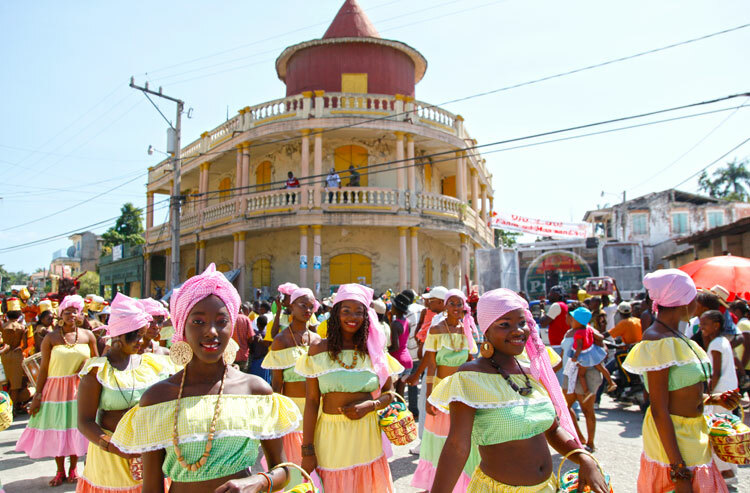 The parades makes their way through the streets of Port-au-Prince and end with celebrations at the large plaza Champ De Mars, located across from the Palais national (National Palace), the former residence of Haiti's president. Music is central to Haiti's carnival. Musicians perform zouk, rap kreyòl rap, konpa (Compas), and mizik rasin. The carnival is the largest annual event where bands can gain more public exposure and it provides the opportunity to perform at large concerts. Popular kompa bands participate in the carnival, such as T-Vice, Djakout #1, Sweet Micky also known as Michel Martelly, Kreyol La, D.P. Express, Mizik Mizik, Ram, T-Micky, Team Lobey, Carimi, and Scorpio Fever who perform for dancers in the streets of Champ De Mars. In Haiti there are also competitions between some bands, like T-Vice, Djakout #1, Kreyol La, Team Lobey, and Krezi Mizik. Every year, tourists travel to Haiti's carnival to enjoy it.